The Health Insurance Portability Accountability Act (HIPAA) was enacted in 1996 to create regulations designed to provide the ability to transfer and continue health insurance; reduce healthcare fraud and abuse; mandate industry-wide standards for healthcare and electronic billing; and require the confidentiality and protection of protected health information (PHI). Fill Out The Form Below To Speak With One Of Our HIPAA Compliance Experts. In the simplest terms, HIPAA sets standards by which anyone who provides healthcare must abide by – enabling consumers to transfer health insurance from one provider to another without sacrificing confidentiality while ensuring healthcare providers cannot leave patient information at risk. On Call Computer Solutions provides IT services to help healthcare organizations achieve HIPAA compliance while better meeting the needs of their patients. Call us at (Tallahassee (850) 783-3012, Jacksonville (904) 513-9006, Virginia Beach (757) 349-8768) or email us at info@on-callsupport.com for more information. Access control: Covered entities must implement policies and procedures that allow only authorized individuals access to electronic protected health information. Audit controls: Covered entities must implement hardware, software, and/or procedures designed to monitor and record access to systems containing electronic protected health information. Integrity controls: Covered entities must implement proper policies and procedures designed to ensure electronic protected health information isn’t destroyed or altered. Transmission security: Covered entities must implement adequate security measures that prevent unauthorized access to electronic protected health information transmitted or stored on the network. Monitor and maintain your IT systems to prevent, detect, and resolve all issues immediately. Offer onsite and remote support as needed to address all technology-related questions, issues, and concerns. Provide comprehensive security solutions, such as firewalls, encryption, anti-virus software, and more. Design a disaster recovery plan that keeps your healthcare organization operating and in compliance at all times. Why should you utilize On Call over any other HIPAA compliance provider? 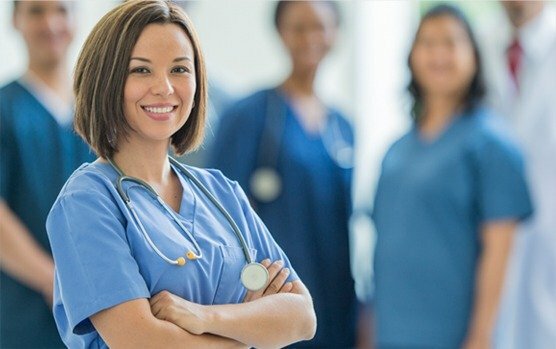 On Call has on staff HIPAA Compliance Officers that help you meet the requirement of having a HIPAA Compliance officer – something that is mandated by HIPAA law. On Call has on staff HIPAA Security Officers – In terms of HIPAA compliance the security official shall oversee and ensure compliance with both the required and addressable, technical, administrative and physical safeguards in accordance with applicable federal and state laws, especially the HIPAA Security Rules. On Call makes HIPAA Compliance easy with a complete done-for-you HIPAA Compliance in a box solution that is customized to your organization’s specific needs. To learn more about how On Call Computer Solutions can make HIPAA compliance easy, cost effective, and help you bridge the gap to compliance.